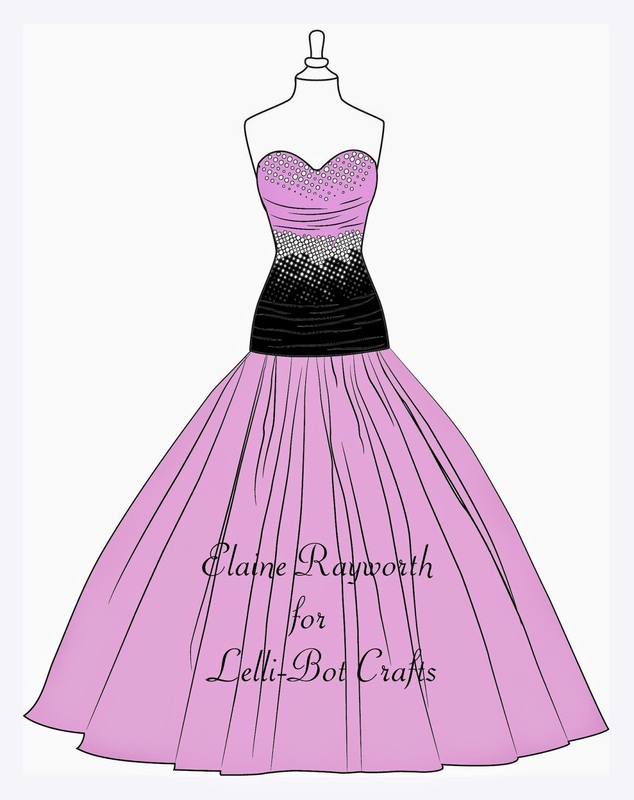 This week sees the launch of the first sets of Digital Stamps over on the Lelli-Bot website. 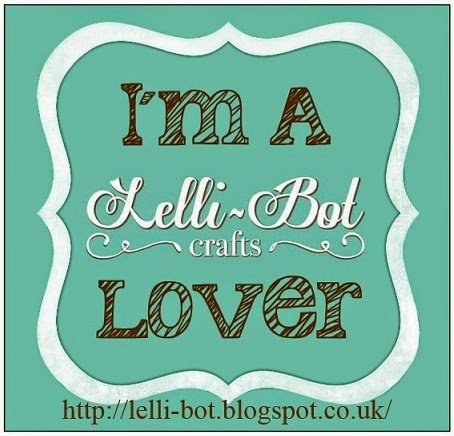 so please take a look at www.lellibotcrafts.co.uk at these newly released images. 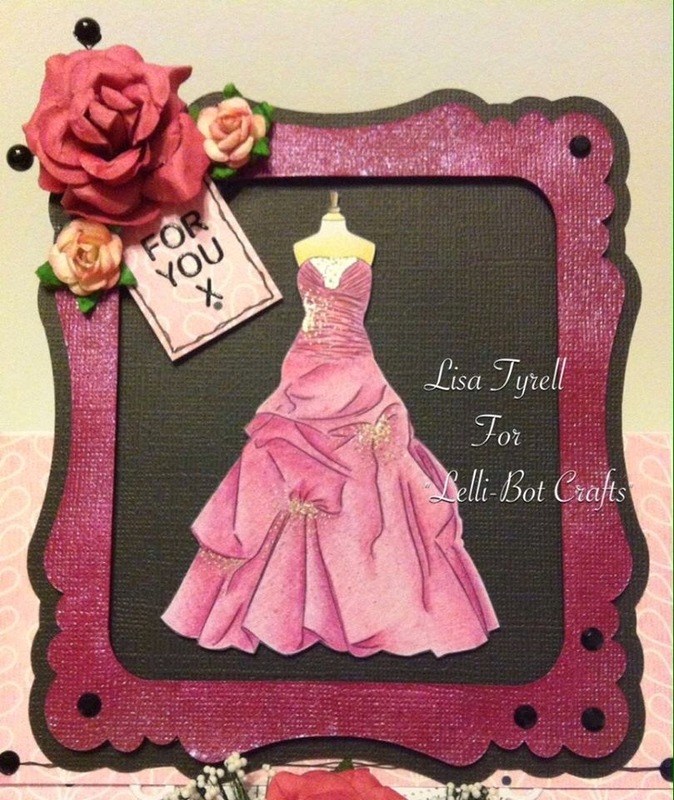 Design Team member Lisa has made this gorgeous card using Prom Dress "Lisa"
I have digitally coloured all four of the Prom Dresses and will be sharing my makes with you in a future blog post. Digital colouring is great if your colouring skills are, like mine, a "work in progress!" Now to a reminder of our current challenge, we have extended the end date of the challenge to 28th May, the winner will be offered a Guest Designer spot for the month of June. Please see last weeks blog post here for details of how to enter the challenge and how to get hold of this Free Digital Image to use in your entries. 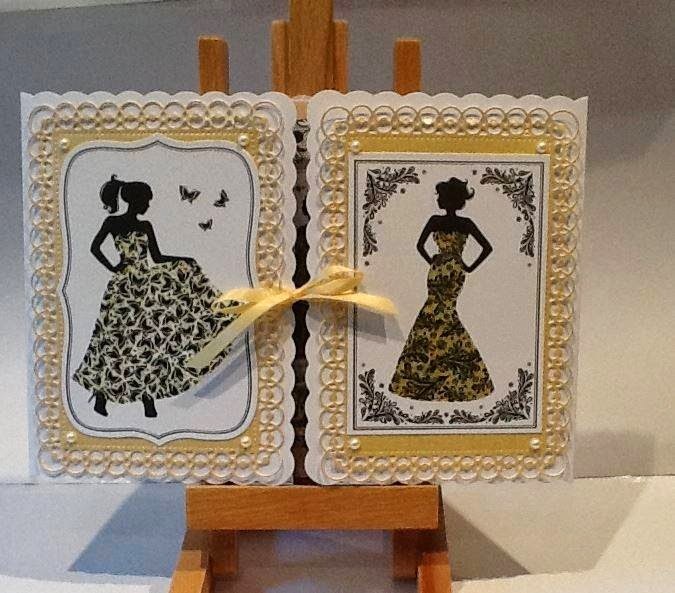 Finally, our Make Of The Week this time is this beautiful card by Jennifer Bradley using Pure Elegance - Butterflies and Lace. 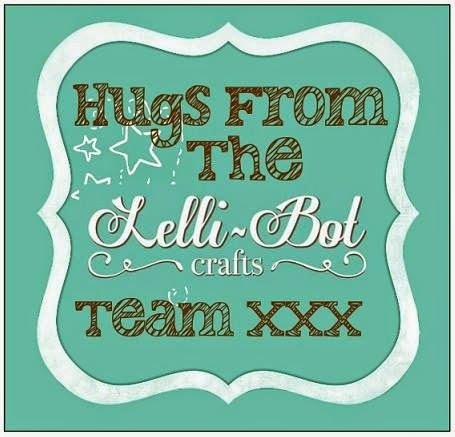 Please get in touch Jennifer so that we can send you your MOTW badge for your blog. That's all for now, please get your challenge entries in and see you all next week! Oh I am loving the prom dresses. Congratulations Jennifer! 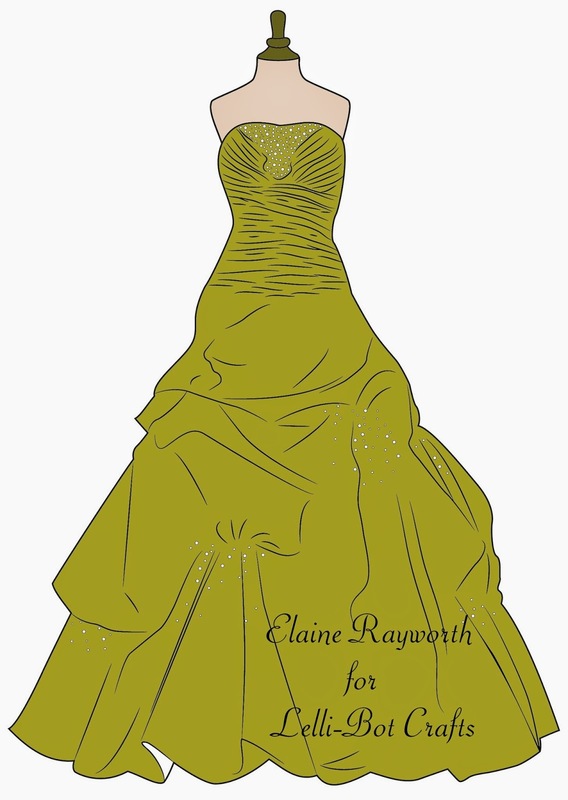 Lovely digi coloured images Elaine and another wonderful blogpost. 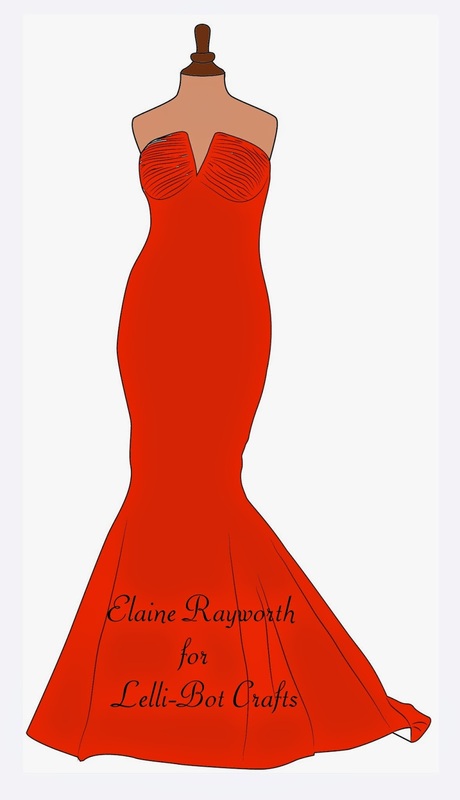 Your dresses are coloured beautifully and another fab blogpost! Well done Jennifer, I like the Gold and Blk colour combo (or is it Cream)? 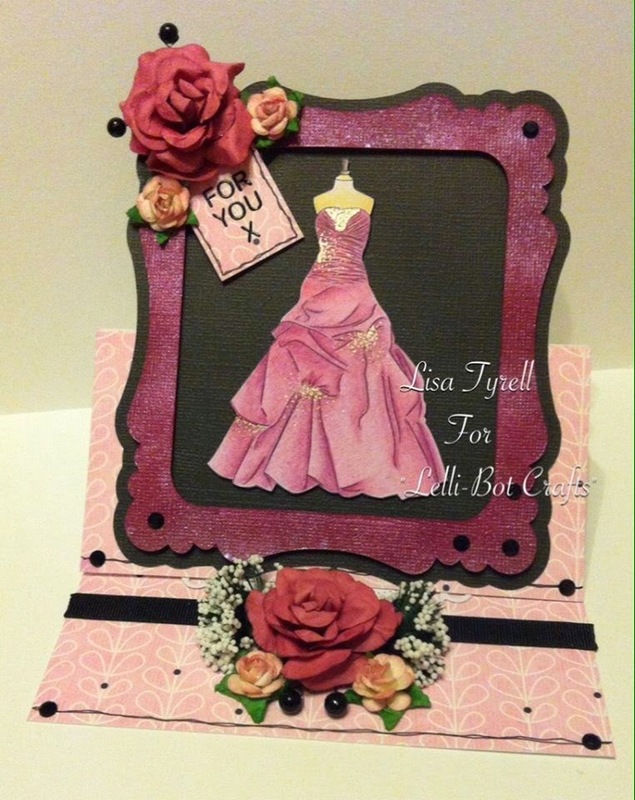 I am in love with Lisa's Prom Dress card.